Jack Butala: Real Estate Deal Flow Equals Success Life Line. Every Single month we give away a property for free. It’s super simple to qualify. Two simple steps. Leave us your feedback for this podcast on iTunes and number two, get the free ebook at landacademy.com, you don’t even have to read it. Thanks for listening. Jack Butala here from Land Academy, welcome to our Cash Flow From Land show. We show you how to buy property for half of what it’s worth and resell it the next day. Great information and instruction from Jack, that’s me. 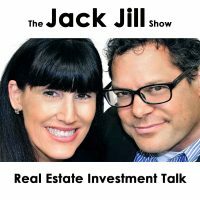 In this episode, Jill and I talk about real estate deal flow equals success lifeline, so a great show today. Before we get started, here’s some funny stuff that happened today or happened recently, I should say. I heard something on the news just this morning. They’re about to make something official. Your brother is causing a ruckus in the Arizona State legislature. Hey, listener, if you don’t know, Jill’s little brother is our Arizona state treasurer and he’s vocal. I love it. I happen to agree with almost everything he says. What’s going on? I appreciate that. Honestly, I try to stay out of it. My mom, everybody’s happy, we don’t talk about that stuff. There’s a pile of money … Here’s the gist of it. I’m saying this because it’s funny. It’s funny to me and I agree with him. Our state governor, as politicians sometimes do, make decisions and put it to a vote and people vote incorrectly, I’ll just say it. There was money being moved around that your brother doesn’t agree with, as a treasurer. I agree … Everybody I’ve ever talked to completely agrees with Jeff. It’s funny stuff. Anyway, people are pulling me off the street and telling me, “Hey, your brother-in-law is doing X, Y, and Z,” and I’m like, “I know.” No one’s said, “That guy’s got to stop it.” No, not one person’s said it. No, I know. It’s funny. Hey, before we get the show started, let’s take a question posted by one of our members on SuccessPlant.com, our free online community. Okay. Someone wrote in, “Right now, I’m in the process of trying to sell some land and to prove to my wife this concept works.” Love it. “Have been stifled by my work and family schedule, trying to get back on track with marketing. I would appreciate any comments on my ads and LandWatch, or on my site under the listings page. Constructive criticism, feedback always welcome.” I love it. “That’s the only way I’ll likely get better. What I’m doing right now is not working.” I’m making it anonymous, and I appreciate this. “I plan to get more videos made for each ad and then post more on Craigslist, Zillow, and Backpage, in addition to my website and LandWatch. I also plan to add a MailChimp account soon and an opt in feature to my website to start capturing leads, which I’m not doing yet.” God, these are all great ideas. “I need your thoughts to help me sell the land I have now. Much appreciated.” Gosh, that’s what Success Plant is for, let’s all help each other. Take a crack at this Jill, please, because you are our sales star. You know what’s funny is I just answered a question like this in a Facebook group this morning, and the question was, “Gosh, I’m competitively priced. Any ideas why my property’s not moving?” I wrote back, “Define competitively priced.” You know what I mean? This is one thing about this, too, as far as sales go, it really is true, Jack, you’re the king at this, if it’s not selling, it’s either not priced right or not reaching the right people. Two reasons, and that’s not just land, it’s every single piece of property in this country. Anything. Heck, it could be a car. There’s two reasons it doesn’t sell. It’s not priced right, it’s priced too high, usually. Sometimes it’s priced too low and people just don’t believe it. Jill and I have lots of properties that we can sell for three, four, five hundred bucks because we buy them for nothing, literally nothing, and people just say, “Hey, what’s wrong with it?” If it’s not priced right, high or low, and it could have any price but if nobody knows it’s for sale, it’s not going to sell. Exactly. That’s my thing. I think that … Here’s what I’m hearing with this person, they just don’t have a system. They know all the different little pieces, but they don’t have a good little checklist of I’ll get a property in, I’m going to first make a video. Then, I’m going to put this together, that together. Once you have all your information together, it’s very easy to copy and paste it all over the planet. By the way, that’s another checklist, which is I’m going to post it here, here, here, here, here, here, and here, whatever they are. Everything that they said is excellent and there are more. When you made the decision to buy the property, what I always do is I just take a couple of screenshots, bang, bang. You’re looking at maps when you buy anyway. A lot of people make a mistake and then they buy it and have to go back through and make it a big production. You only have to do it once. You only have to make one posting and then just blast it all over the place everywhere. I just had a conference call right before this with a very seasoned real estate individual and he said, “We’re getting very hung up on the engineering part of this.” Everybody has a thing. Some people, it’s deeds and paperwork. Some people, it’s sales. Some people, it’s talking on the phone. I don’t know. This person has done many, many, many deals and they are, for whatever reason … It’s just their thing. I’m not saying anything personal at all. Everybody’s got a thing. You just made me think of a whole other company and I don’t even want to go there. I know you’ve thought of it too. That product is in there. Yeah. Let’s think about this. You’re in this world, you’re doing everything that we’re teaching. You’re buying your property, blah, blah, blah. You get a good one in, but you can’t find it, you can’t figure it out. Maybe I’ll spend $20 or something like that and shoot it over to Land Academy’s engineering team and they’ll do my maps and photos and everything and send it right back to me in a couple hours. Now, I can totally assess and see if I want to buy it. Oh my gosh, we have to do that. You know, you and I should get together and talk more because that whole company is underway right now. It’s awesome that you don’t know that. That’s true. We work on different things. That’s what goes on here. That’s totally true. We just watched … I don’t know if you were with me, if I’m remembering, but I watched … Shoot, it was another movie with Robert Downey Jr. It was the latest … Shucks, we saw that movie. What’s the latest movie with all the heroes? No. Captain America. It was a Captain America one. Anyway, that was exactly it. They were talking about being all together, and they shoot so different schedules, not just the voice over ones, but even real action ones. There was this girl like, “Yeah, I never met him,” kind of thing because all her scenes didn’t include that guy. I said 3:00 in California. 5:00 in Arizona and 3:00 in California. Let’s get our priorities straight. This poster, the person that wrote this question, they’re absolutely on the right track. Do everything, especially in the beginning. They’re going to be fine. Hey, if you have a question or you want to be on the show, call 800-725-8816. 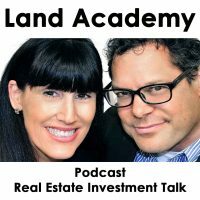 Today’s topic is real estate deal flow equals success lifeline. Man, that couldn’t be more true. You have to have a deal flow, and I think this really gets overlooked. For a lot of people listening, this is 101 stuff, but for seasoned people, man, you have to have deals coming in all the time and you have to have a mechanism for which you choose the best ones, the best ones that work for you. Why did I choose this topic today? I’ll tell you why. A lot of people recently are calling me and utilizing our consulting service on our website. If you’re a member, for a very inexpensive amount, you can do a personal deal with me for 30 minutes. The last several deals that I’ve done have been, “Hey, should I do this deal?” It has nothing to do with how we process properties. It concerns me. I’m not sending this message. Wait, wait. Share that with me again. What are you trying to say? What’s it about? The old school way is you get a deal in and you analyze it and you look at it. Maybe you do an income statement, you check it all out. You go look at the property. That’s why they don’t succeed. Maybe they don’t even know the price yet. What I’m saying is that … It’s a direct result, Jill. I’m going to drive this point home because here’s the whole point of this, every single one of those people that are getting tripped up on this and are not following their acquisition criteria are coming from other educators, our two main competitors. They’re sending out letters to back tax people only. They’re getting a huge response, a much larger response, quite honestly, if you just send to everybody. Their properties have problems, the vast majority of them, and then they start negotiating a deal. Jill and I really don’t negotiate. You spend a lot of wasted time negotiating deals, in my opinion. If you send an offer out for $1,000 to buy a property and they come back and say, “I’ll sell it to you for $1,500,” my answer’s no. Next. If I don’t have each deal flow, which has never happened, send out more mail. You have to maintain deal flow. It’s your lifeline. The more deal flow that you have, then the more choices you have. It’s as simple as that. I just reviewed a deal with somebody online. It was a several hundred unit transaction and I asked them what their price is, what’s the seller want? They said they didn’t know. We talked about it for quite some time, and I had this exact conversation. You have to have a deal flow, according to a real strict acquisition criteria, especially if you’re new. Does that make sense? I’m trying to imagine why you would be even researching a property that the seller hasn’t … You have no idea what they’re asking. Yeah, you’re reading my mind. Right, but they have something stuck in their head already, you got to get it out because if you come back with doing all your homework, “I’m going to offer you 4,000,” and they in their head already decided they’re not going to go below 15,000, you’ve just wasted a whole lot of time. You got to know at least their range before you dive in. I’m learning a lot about our listeners. Jill, I haven’t even shared this with you. There’s a lot of ways to analyze how your podcast is doing, who’s listening to it and why. What I’m learning is that there’s a lot of people that are slightly skeptical that this may or may not work, even though we’ve set up Success Plant and everybody talks about it in there. If you’re a skeptical listener about whether or not this works, what I want you to do is get a list, anywhere you can get a list, go get a cheap one if you need to, of owners and send them offers. Don’t send them offers, send them postcards. This is exactly what we don’t teach and it’s the wrong way. Send a bunch of postcards out and say, “Hey, you know what? I’m thinking about buying your property. Give me a call.” You’ll get a 70% response. Your life will no longer be your own and you’ll talk about deals with everybody and you’ll never do a deal. A lot of people … That is the old school way of doing this. It’s been around for as long as real estate’s been around. Let’s have a talk. You want to have offers come back, right? This is the Technical Ten Minutes. Ten or two? What did we decide? Well, it says ten but I think we decided two. This is the Technical Two. Two minutes of property investment advice from our 15 year, 15,000 deal experience. Here’s my advice: personal videos sell property. Don’t you think? Mm-hmm (affirmative). I love them. I love seeing them all over the planet. I watch our members and they get better and better at their videos. It’s really, really cool. They learned a lot from you. You used to have a lot on YouTube and I love it. Yeah, they’re still out there. It’s awesome. That’s a great tool. Those kind of videos? I thought you meant property videos. Personal videos. Oh gosh, we had to pull those down. Screenshot videos of you explaining where the property is or how to drive there in Google. It really separates you from everybody else who’s got property for sale out there. That’s what I mean by personal videos. I want to make sure that everybody understands that clear. I get you. I have to think about personal property videos, not like me and my dog on the beach. No. I mean, that might work for you. Thanks. Personal property, I love that. That’s where I was going with it. I love our members and they’re doing a good job with those. My favorite is when you, Jack, do those drive downs and show the city. That’s exactly what I mean by personal videos. I think that’s so cool. Yeah, I think that’s awesome. It’s you, the seller, talking … You’re not doing a shot of yourself, it’s what you’re doing on your computer. There’s a simple $50 program called SnagIt. S-N-A-G-I-T. I highly recommend it. We have no affiliation at all. Whatever you’re doing on the computer and talking into a mic is recorded. When you’re reviewing your property and talking about what’s great about it or maybe not so great, it’s a real, honest, true way to look at it. I think it also sells yourself at the same time. I just think it’s like staging a house. Yeah, that’s an excellent way to say and look at it. You’re showing what is possible by … Some people, they look at this piece of dirt, really, on a screen and they’re like, “What’s great about that?” When you pan out and you go, “Look, there’s a ranch here. Look at they did. Look, this is where you buy milk.” Then people go, “Now I see it.” It’s like seeing themselves in the house. They get it. Hey, if you have a question or you want to be on the show, call 800-725-8816. I bet Jill’s got some inspiration for us today. Yes. Okay. I was wondering, do you find yourself being stuck in any point? Maybe it applies to this, maybe it applies to making a big life change, whatever. My question is, do you find yourself being stuck? When you take a few minutes and really think about it, what is the obstacle and is it really that big? This is awesome. Actually, I love it. I love today’s thing. Do you say emotional … I’m curious, Jack, how is emotion keeping you from going forward? Are you hung up on something because you feel passionate about it? No. I think if you just have too much emotion … Let’s use the video we just talked about. You did a video, a personal video on a property that you just bought, and then you turn off the mic and you’re like, “Oh my gosh, I could’ve done that better.” Then you start having all kinds of feelings about it and thinking about it and I think that that’s instead of just moving forward and saying, “You know what? It’s not perfect, but I think it really conveyed the whole property and I got a bunch of other stuff to do anyway.” That’s kind of what I mean about emotion. I don’t mean your mascara’s running in the corner. I don’t mean that. You have not. You look great. Get there first. Awesome show, Jill. Yeah, that was good. Some good examples. Yeah, I feel like we covered a lot of stuff. Yeah, every time I get three or four or five calls in a row, I start to say, “You know what? We’re going off the rails a little bit here about acquisition criteria,” and stuff like that. Thank you for … The staging the house thing was perfect. That was for a different example, but that’s all right. What do you got going on today? Are you doing a live thing today? I am doing a live thing today. Thank you. I like doing this live stuff. I love when you have live stuff because you dress up. You dress up all the time, but you know what I mean. What am I, not presentable? No, when you have live stuff you’re just all gussied up and I like it. Well, that and I have a birthday dinner for my mom tonight so I’m going out for that, so it’s dual purpose. Yes, I put on heels. No one’s going to see them, but it’s my usual had to put on heels today. I have flip flops in the car. It’s funny. Yeah. I change them when I get to the office. You know what’s really funny, too? As I’m walking upstairs, I am all dressed up and I have heels on and there’s all this construction going on that you might be able to hear in the background, but it’s really funny, I’m walking up, I’m all dressed up, all of a sudden, everybody stopped working. Seriously. That’s exactly what was happening, I’m walking up. There’s guys on scaffolding and everything. I am not kidding. I pause for a moment and I realize, gee, it got quiet all of a sudden as I walk by. I made a joke about I forgot my hardhat today. They kind of laughed. It was very funny. That was my observation as I’m walking in the office today. You need to have somebody with a camera follow you around and get this funny stuff. Hey, Jack and Jill, information and inspiration. Let’s go buy some property.